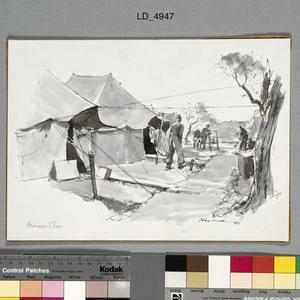 image: A soldier stands between the guy ropes of two tents. 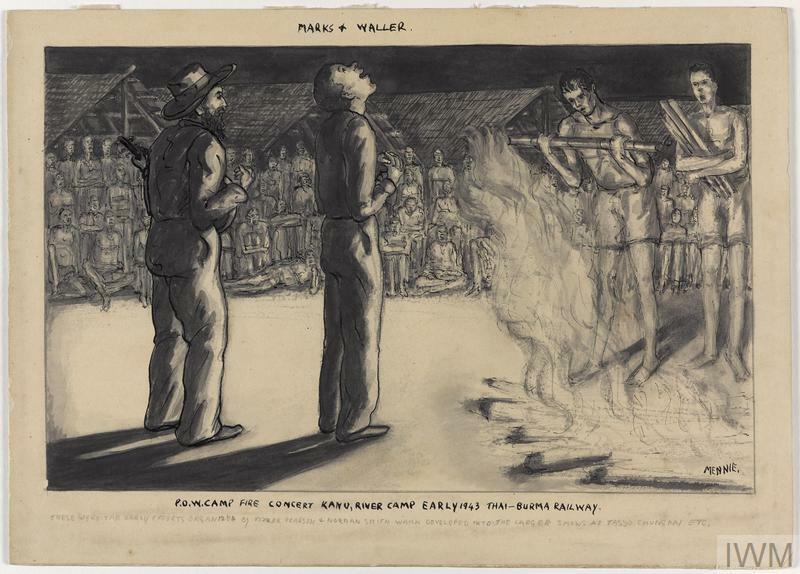 MARKS AND WALLER POW CAMP FIRE CONCERT, KANU, RIVER CAMP, EARLY 1943. 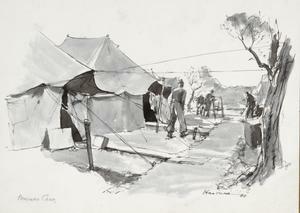 THAI-BURMA RAILWAY.